With nearly 150 historical male statues in New York City, there are only a handful that depict women. Now a new statue is set to premiere in Central Park, only the sixth statue in the entire city to represent historical women figures -- but we'll have to wait until 2020 to see it. While there are statues of women in Central Park already, such as Alice from "Alice in Wonderland," the new statue will be the first to exhibit real historical figures. 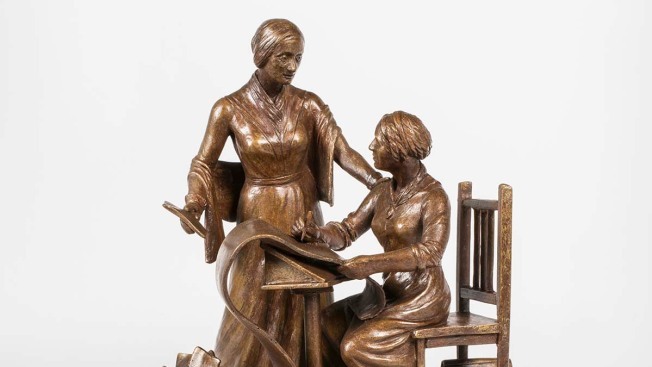 The one statue will display two women - Elizabeth Cady Stanton and Susan B. Anthony. Both women were were leading figures and played pivotal roles during the early women’s rights and women’s suffrage movements. The two women collaborated on a newspaper, titled "The Revolution," which expressed the importance of advocating women’s rights in the world. The two will be added onto the list of women represented in the city alongside Eleanor Roosevelt, Harriet Tubman, Gertrude Stein, Golda Meir, and Joan of Arc. There is currently only one statue that represents women of color in the city overall -- the statue of abolitionist and activist Harriet Tubman.